‘I do feel the loss of my two boys, they was my all …’ wrote grieving father Ernest Watts following the death of his two sons. Like thousands of Australians during World War I, Ernest Watts received his tragic news through the office known as ‘Base Records’. This letter was just one in a series of correspondence that lasted the duration of the war and well into the post-war period. Every letter was answered with patience and courtesy and every response carried the same signature: J.M. Lean. 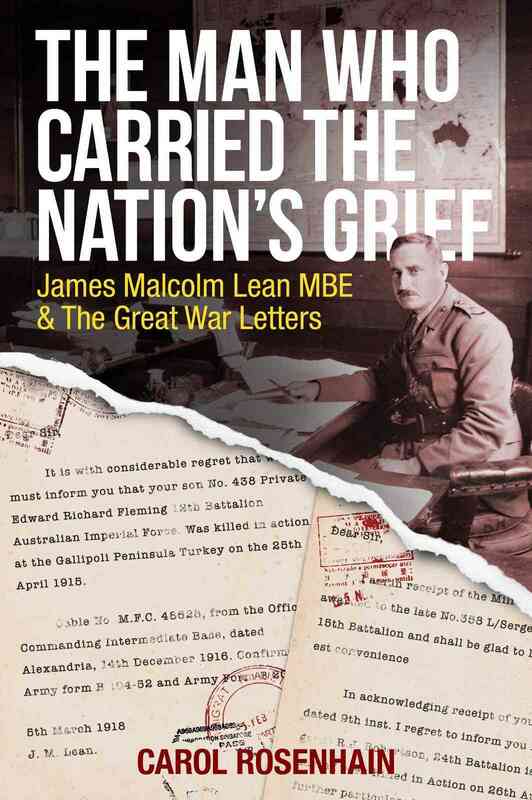 “The Man who Carried the Nation’s Grief” describes the extraordinary work of James Lean, whose office at times received over 100 letters a day from distressed families. The letters selected by author Carole Rosenhain are quoted verbatim in all their rawness; showing the families’ grief, anger and disbelief, together with the devastating wounds that would often never heal. The chain of correspondence between Lean and the family would often last well beyond the Armistice of 1918. For one shattered father, the fate of his missing boy would never be resolved, his son’s final resting place only discovered in Pheasant Wood almost a century after he met his death. Given his crucial role as the link between anxious families and the bureaucracy of the AIF, James Lean’s remarkable work is a surprising omission from the vast body of World War I literature. Carol Rosenhain’s book rectifies this omission with a portrait of Lean himself and the grim task at which he excelled. This is a book that describes the impact of war on families in all its devastating reality. 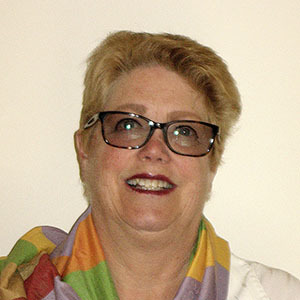 Carol Rosenhain is a Melbourne writer and historian. Educated at Monash University, she has been a passionate teacher of English and History at senior secondary level for many years. Carol was recently the recipient of a prize in the Box Hill RSL Centenary of WW1 Short Story Competition. In writing this review , I am reminded that today being the 11th April 2017, represents the 100th anniversary of the 1st Battle of Bullecourt, where the Australian soldiers attempted to advance between two salients formed by the German defences. This battle, like those before and after, resulted in significant casualties for the Australian deployed to the Western Front. By 2017 the losses encountered by the Australian infantry were becoming too numerous and unpalatable for the Australian public. Carol Rosenhain’s book represents an untold story about what could be described as the ‘home frontline’. Holding that frontline was Major Lean, the humble and honourable military servant who was charged with the responsibility of communicating much of the devastating news of soldier deaths and injuries to families and next of kin. The giving of bad news is never easy for anyone charged with such a responsibility but trying to comprehend how this is done thousands of times with the same dignity and respect requires a person of enormous courage and compassion. This book which defines the role of Major Lean through very trying times is not just another read for the dedicated military historian but for any reader, especially emergency service personnel, social workers, psychologists and assorted healthcare providers who can relate to the difficulty of counselling and supporting survivors of more contemporary conflicts and critical incidents. Not a light read but a necessary read.